Marks & Spencer is to open the doors of its brand new Foodhall in Omni Park on Thursday, 30th November. The new store will be opened by Store Manager, Richie Fahey, and his new team of 55 colleagues at 10AM, when the first customers will be welcomed into the Foodhall for the first time. The 9,000 sq. ft. store will offer an extensive range of M&S’s quality and innovative food and drink, from everyday essentials to everything needed to create show-stopping dishes and desserts. 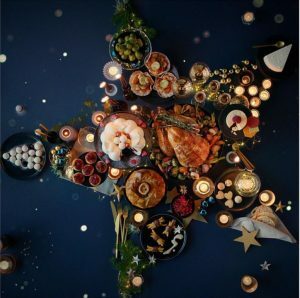 Whether customers are looking for a special weekend treat or mid-week meal, the new store will offer an exciting range of products, including M&S’s new Christmas collection. For shoppers preparing for the upcoming season, the new Foodhall will bring festive cheer with an exciting range of Christmas food. Including everything from Christmas classics like mince pies, to special and unique gifts including Sparkling Caramels. There’s something for all the family this Christmas including the Chocolate and Raspberry Reindeer Cake, milk and dark chocolate mousses with sponge and raspberry jelly, which can be decorated with chocolate antlers at home. Kids will be spoilt for choice with a selection of sweet treats like the Paddington Bear Advent Calendar and the Milk Chocolate Paddington Bear Lolly. The new Foodhall will also feature a 42-seat M&S Café, providing the perfect spot to enjoy tea and cake with friends, or grab a coffee to go. M&S Foodhall Omni Park will be run by Store Manager, Richie Fahey. He said: “We’re so excited to be bringing the very best of M&S food and drink to Santry for the first time. The new store has been widely anticipated in the local area, and we can’t wait to become part of the community. We’ll be working hard to ensure we offer fantastic customer service, really putting our customers at the heart of everything that we do. We can’t wait to welcome our first shoppers through the doors in just a few short weeks. Shoppers will also be able to take advantage of the popular Click & Collect service which gives customers the option to have their M&S.ie orders, across Clothing, Home and Beauty, delivered to the store free of charge. The store will be located at M&S Omni Park Shopping Centre, Swords Road, Santry, Dublin 9. There will be free parking for customers.